A fabulous tasting took place a couple of weekends agp at Del Posto. Super whites or white wines from Friuli Venezia Giulia were shown and they were exquisite. I was there for Lis Neris, Alvaro Pecorari’s winery in San Lorenzo which I have mentioned many times on this blog. Alvaro is a real cult figure in Italy, a great winemaker and a friend. I won’t go on and on about his wines because they speak for themselves but don’t miss the opportunity to try them when offered. At this tasting I found I appreciated his Jurosa, single vineyard Chardonnay more than ever before. It ferments and ages in 500 hl French oak barrels and has a wonderful bouquet. It shows nutty and yeast aromas together with more honey and buttery notes and it is elegant and not over the top. In addition to Lis Neris, I tried some great wines from Livon, Zamo, Venica, Villa Russiz and Collavini as well as Livio Felluga. I didn’t get to try the Bastianich wines but heard they were delicious. For years, friends in Milan have been mentioning the Superwhites tasting that takes place there every March. I was very excited to have the same opportunity here in New York City. Whites from Friuli are among the best white wines in all of Italy thanks to great acidity, purity of varietal characteristics and careful wine making and viticultural practices. The wine makers are almost universally meticulous about their grapes and hygiene in their wineries. Many use only stainless steel while others experiment with wood barrels of varying sizes and different woods. Interestingly enough, I liked different wines from various wineries. The Pinot Grigio from Venica was delicious with some lees notes while that of Collavini was pure fruit. The Sauvignon blanc from Villa Russiz was elegant and soft while others were bigger over the top Sauvignons. The grape I had the most fun with was Friulano. Zamo made an incredible version from 50 year old vines. A gorgeous wine, it was my favorite of that grape variety. 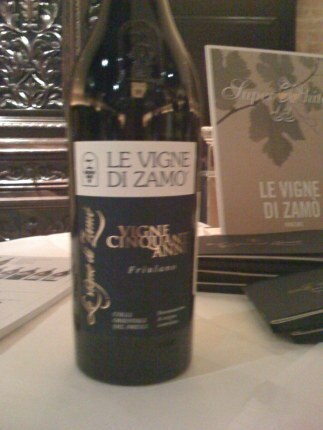 Zamo also had beautiful packaging on his brochures with earth from Friuli inside. 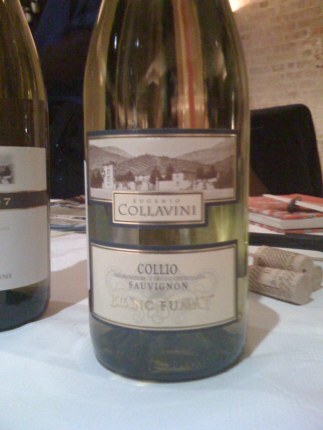 One of the producers said that Friulano was an austere and masculine wine and seemed surprised that I liked it so much. I thought it was pure and racy and imagined it paired with numerous delicacies from the area. I tried it with some Prosciutto from San Daniele and Montasio cheese which were offered at the tasting, both are local delicacies from Friuli. 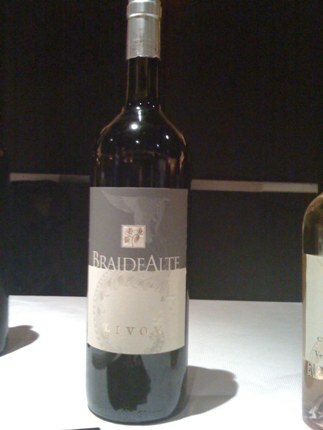 My favorite wine of the day though was the Braide Alte from Livon. The wine was overwhelming, a blend of five grape varieties with layers of fruit, floral notes, minerality and acidity as well as a hint of sweetness from Picolit. It was truly noteworthy. They also brought a Verduzzo dessert wine which was a great way to end the tasting and paired perfectly with the best walnuts I have ever had. The next time a Super Whites tasting comes to town, try hard not to miss it, every wine was a real gem and puts an end to the idea that Italian whites aren’t singular, important wines.